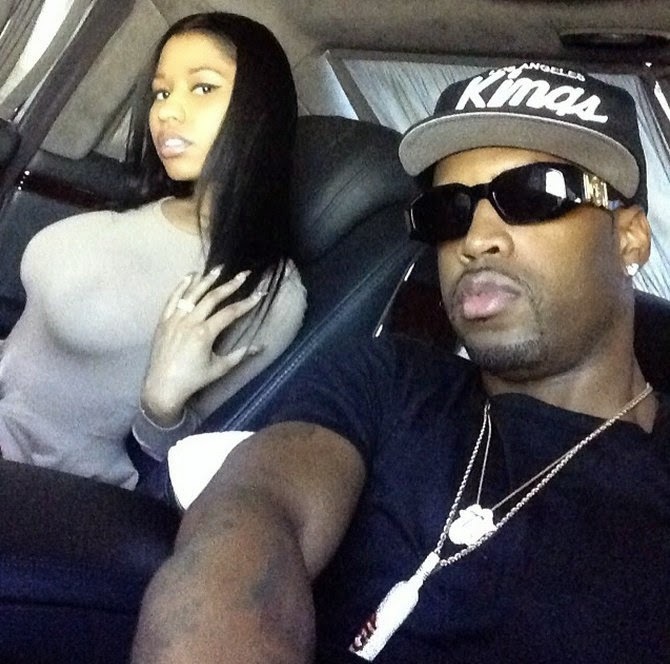 Nicki and Safaree got into a nasty argument that escalated into violence. Once Nicki had enough, she allegedly grabbed a baseball bat and used it to chase Safaree out of the house. Outside, Nicki allegedly used the bat to beat Safaree's 2012 Mercedes. The police were called to the house but no one was arrested. It turns out that Nicki was the owner of the Mercedes, and that Safaree was just allowed to drive it while they were together. Recently,Drake begged Nicki to sleep with him. After the song was released, he even continued the conversation by asking Nicki to sleep with him by posting a cartoon Now we know why Nicki Minaj ﻿and her longtime boyfriend broke up.